A growing need for more plastics and petrochemicals in the developing world will be the leading driver of oil demand, outpacing planes, trains and automobiles, according to the International Energy Agency. 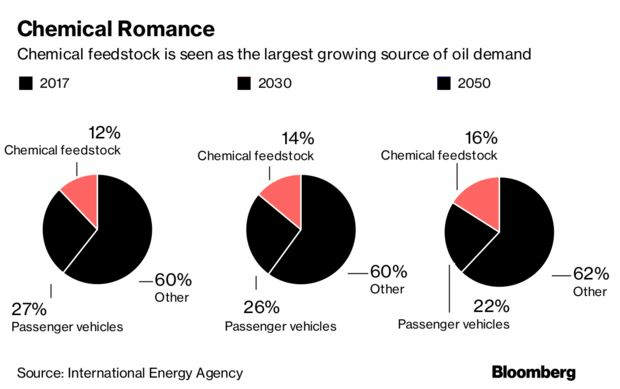 Petrochemicals will account for more than a third of the nearly 10 million barrels a day of oil demand growth through 2030, and nearly half of increased consumption through 2050, adding nearly 7 million barrels a day by then, the agency projected. True indeed, there are petchem complexes being built in the US, China, Saudi Arabia etc, with focus on providing value added materials instead of just crude oil for refining. The study highlights that petrochemicals are set to account for more than a third of the growth in world oil demand to 2030, and nearly half the growth to 2050. Demand for plastics, described in the report as “the most familiar of petrochemical products”, has outpaced all other bulk materials (such as steel, aluminium or cement), nearly doubling since 2000, the report states. The report also says that advanced economies currently use up to 20 times as much plastic and up to 10 times as much fertilizer than developing economies on a per capita basis, “underscoring the huge potential for growth worldwide”. 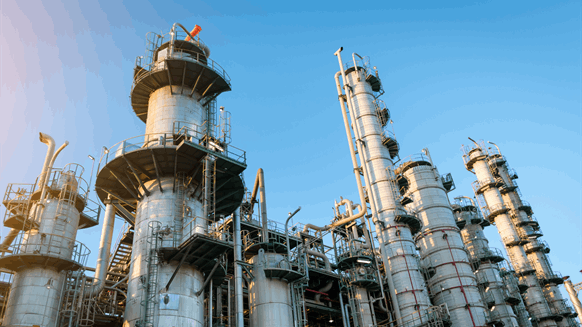 Against a backdrop of slower gasoline demand growth, robust growth prospects for chemical products, and attractive margins, oil companies are further strengthening their links with petrochemical markets, according to the IEA study. “Our economies are heavily dependent on petrochemicals, but the sector receives far less attention than it deserves,” Fatih Birol, the IEA’s executive director, said in an organization statement. “Petrochemicals are one of the key blind spots in the global energy debate, especially given the influence they will exert on future energy trends. In fact, our analysis shows they will have a greater influence on the future of oil demand than cars, trucks and aviation,” he added. Petrochemicals are components derived from oil and gas that are used in all sorts of daily products such as plastics, fertilizers, packaging, clothing, digital devices, medical equipment, detergents and tyres. Founded in 1974, the IEA advocates policies that it says “will enhance the reliability, affordability and sustainability of energy in its 30 member countries and beyond”.